For well over a decade, DentalWebsites.com, the industry leader in custom dental website design and search engine optimization, has been featured in dental marketing books, journals, magazines, as well as national newsletters including the LA Times and The Chicago Tribune. Mary Rahall, Co-founder and President, has been the featured guest on several Dental CE cd's, dental webinars, as well as national news, for the best and latest ways to attract new patients via the Internet. 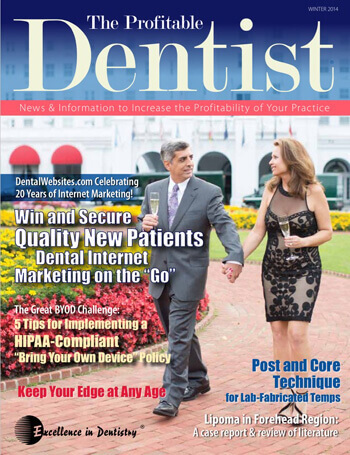 DentalWebsites.com Celebrating 20 Years of Internet Marketing! Dental Internet Marketing on the Go. 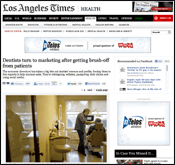 Los Angeles Times features DentalWebsites.com in article titled, "Dentists turn to marketing after getting brush-off from patients." 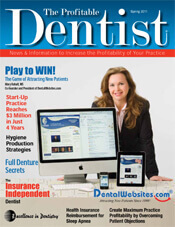 "Meet Mary Rahall and DentalWebsites.com"
"PLAY TO WIN ... The Game of Attracting New Patients"
Click here to download both articles. "How to Turn Your Practice into a CASH COW"
"Top 7 Secrets to a Web Site that Will Attract Tons of New Patients!" 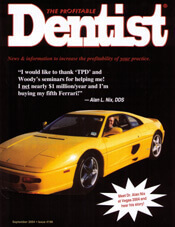 "Dental Websites That Work" Richard H. Madow, D.D.S. Interviews Mary Rahall, President of DentalWebsites.com.